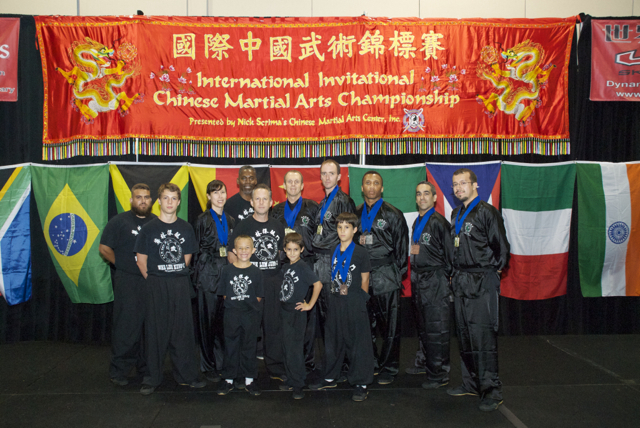 Congratulations to the Wah Lum Kung Fu of Melbourne team that competed at this year’s International Chinese Martial Arts Competition in Orlando. Tawnie got gold in Partner and silver in Empty Hand. Ryan got gold in Partner and silver in Empty Hand. Yoel got silver in Empty Hand, bronze in Long Weapon, and Bronze in Other Weapon with Di Sow Gee. Vincent got silver in Other Weapon with Short Handle 9 Ring and 4th in Empty Hand. John got gold in both Empty Hand and Weapon. Peter, Alex, Nicholas, and Ramces competed well, but were overcome by fierce competition. Many thanks goes out to the friends, family, and fellow students that came to support the team during the long day of competition.